Annoyed by algae and want to get ride for good? Use this guide to find your solution. I’m now going to breakdown the causes and treatments for common types of algae that are know for plaguing hobbyists. A type of red algae (Rhodophyta), BBA is more common in saltwater setups, but can also appear in freshwater tanks. Feeding through photosynthesis,BBA produces a red light protein called phycoerythrin; giving the algae a black/dark purple appearance – hence the name. Soft, slippery, and hard to remove, BBA will grow quickly in dense patches (looks like a patchy beard) on slow growing plants, bogwood, driftwood, and any hard surface in your tank. Low or unstable CO2 conditions and inconsistent lighting tends to be the main culprit. Water flow is another cause which has been debated. However, from my own experience, it’s not so simple. I’ve had BBA growing in high and low-flow areas. 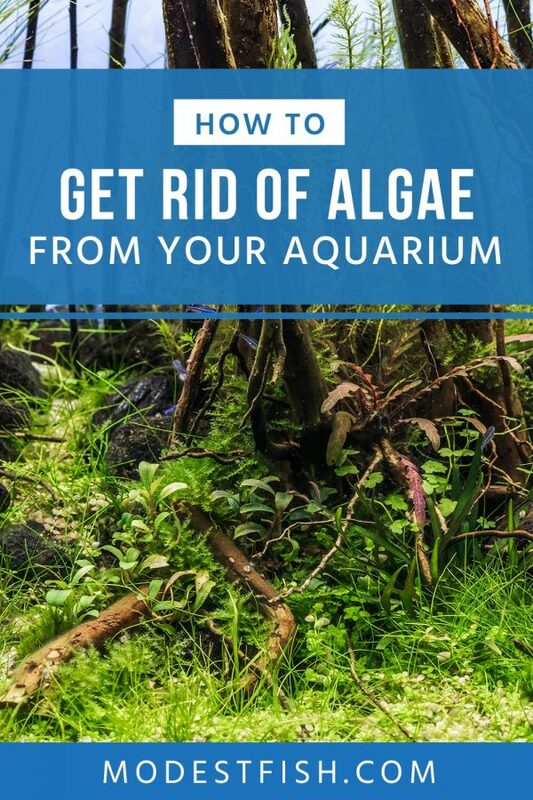 You can start by trying to manually remove the Algae. If it’s attached to the glass or your equipment, it’s time to use some good ol‘ fashioned elbow grease. Get an algae scraper and try to remove as much as possible. 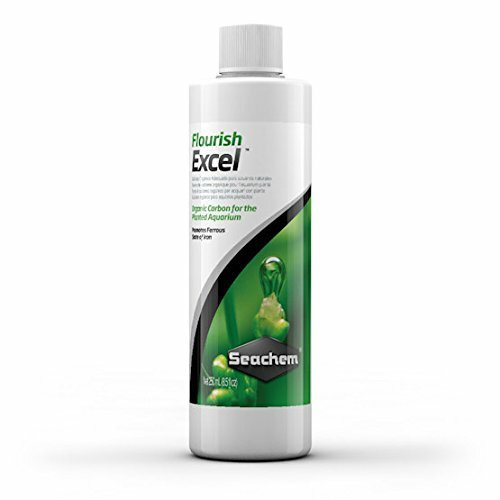 It can be a real pain to remove; if you struggle, try overdosing it with Seachem Flourish Excel. Another technique is to try dipping heavily infected plants and items into a 1:20 ratio bleach and water solution for 2-3 minutes. This extendable cleaning tool comes with three different blades so you can adjust to different cleaning jobs. Pro Tip: Don’t be a donut and pour the bleach directly into your tank. And make sure all plants and items are bleach free before you place them back into your tank. A popular choice amongst hobbyists to help get rid of black beard algae. Try testing the dissolved CO2 levels in your aquarium. If they’re low, increase the amount of CO2 as it will stimulate your plant’s growth–helping them out-compete the algae for resources. If you’re using tap water and find the CO2 levels are fluctuating, you may have to try R/O water. If you don’t want to purchase any equipment, you can try aquascaping your aquarium to improve the water flow. Arranging your plants, coral, or live rock in a more open style and adding caves or tunnels can help the water flow. Whatever technique you try, always keep on top of 10-15% weekly water changes. Arguably the toughest algae to remove – I feel for you if you’ve got it. It forms a tough, green, wool-like mat and tends to prefer attaching itself to hair grass, substrate, and hardscape items. If you rub or crush Blanket Weed, it will emit a nasty pungent smell. It’s often introduced through poor quality plants. Marimo Balls are from the same algae family and can sometimes be the culprit. The algae can then grow rapidly if you have a high level of nitrates, CO2, and light. Unfortunately, Blanket Weed seems to also favor the same healthy water conditions as plants. It’s a head-scratcher, I know. Luck. It’s very hard to remove 100% of it. If you’ve only got a small infestation, you can try to remove it yourself. 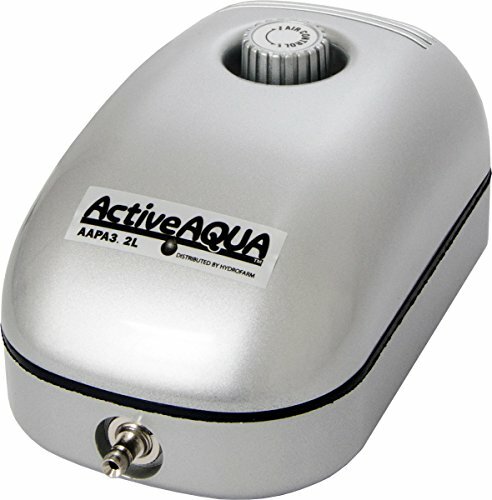 Turn off the current in your aquarium to avoid establishing new populations when you remove the algae. Then you should get some long tweezers and pick out as much as you can. You can then use Excel with a syringe to spot treat problem areas. Like I say, it’s hard to remove so the best course of action would be to try and not introduce it in the first place (I know, not much help if you already have it). Be very picky about which plants you introduce and where you buy them from – always quarantine new plants before adding to your aquarium. 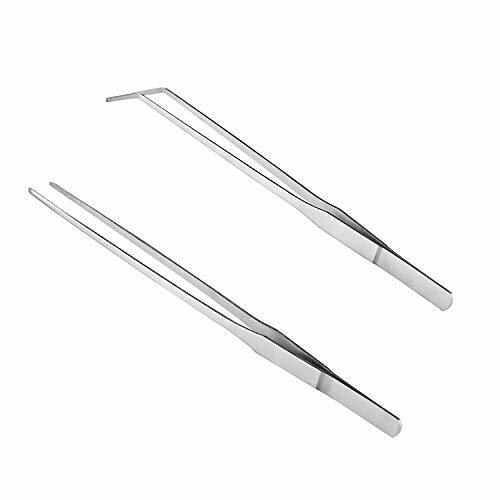 The 10.6 inch slim design makes these tweezers ideal for picking out blanket weed algae. This isn’t a true alga, it’s an aquatic cyanobacteriumwhich is able to photosynthesize. It’s also a nitrogen-fixing bacteria, meaning it will eventually use up all of the nitrogen in your aquarium’s water. It’s fast-growing, covering everything in a blue, green, reddish purple, or brown slimy mat and has an interesting earthy smell when taken out of your aquarium. It’s common to find it on your substrate and along the front of your aquarium glass where it receives the most light. Fact: Many species of BGA have evolved the ability to control their buoyancy in relation to light and water conditions. High levels of organic waste from overfeeding and/or a lack of water changes can cause BGA to bloom. And it’s likely you’ll experience low levels of nitrates as the bacteria use up any nitrogen. Subjecting your aquarium to too much light for too long periods can allow BGA to thrive. Or old light bulbs which are no longer emitting the correct light for your plants can result in your plants no longer being able to out-compete the BGA. It’s common for BGA to appear in the wild where there’s low water circulation. 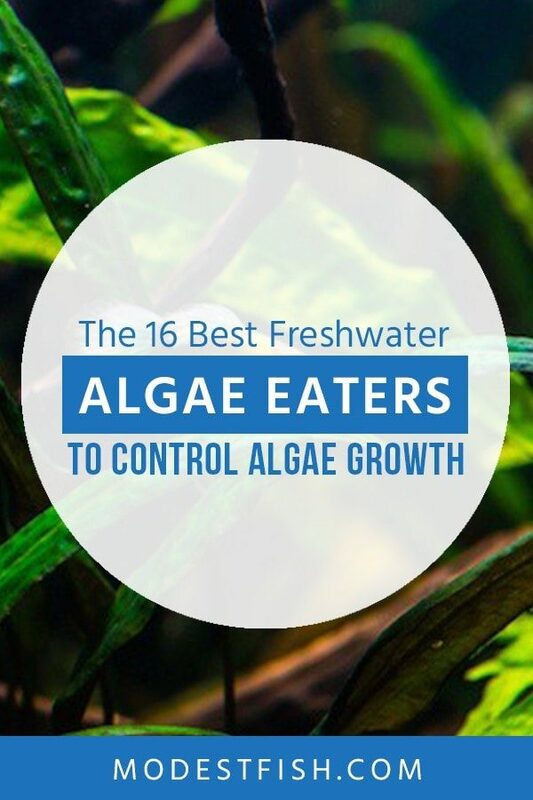 There are a few ways you can attempt to combat Blue-Green algae, the most commonly talked about technique is the ‘Black Out’ because BGA cannot survive without light. Step 1: Perform a 50% water change and remove as much BGA as you can. Step 2: Test your nitrates, if they’re low, add some potassium nitrate to get the levels to 20ppm. Step 3: Add an airstone. Step 4: Turn off all your lights and cover the tank so no light can get it in and leave it for 3-4 days. Don’t worry, your fish will be fine without food for this period. Step 5: After 3-4 days, perform another 50% water change. Step 6: Remove the airstone. Step 7: Test your nitrate levels and dose if necessary. A very popular and successful way of getting rid of Blue-Green algae is to dose with Maracyn (follow the instructions on the packet). You can also add fast growing plants; they can kill the algae off by out-competing them for nutrients. Try using a syringe to treat problem areas with an Excel treatment, and then manually remove the dead algae. Check your substrate and filter doesn’t contain excessive amounts of mulm and ensure you have good water circulation around your whole tank. (check out Black Beard Algae section for water circulation tips). A form of Diatom, it’s able to obtain nutrients through photosynthesis and chemicals (silicate, phosphorus and nitrates). Meaning it’s able to survive in low light conditions if their chemical food is available. Found in freshwater and marine aquariums, Brown algae will start out as a dusting on the substrate in your tank. Then in approximately 5 days, it can turn into a slimy film covering your tank’s glass, substrate and plants – it doesn’t look great. Usually caused by inadequate lighting or high levels of silicates, nitrates or phosphorus’s, and/or low oxygen levels. It’s common for Brown algae to appear in new aquariums during the nitrogen cycle as your filter and substrate haven’t had enough time to mature. The best way to combat algae is to deprive it of the nutrients it needs to thrive. You can start by using a vacuum to physically remove the algae and then use a soft cloth to wipe down the glass. Then you can perform some partial water changes to help remove some of the nutrients. Check your lighting; making sure you’re not providing too much or too little (you may need to adjust your lighting schedule by a few hours). Look out for any natural sunlight which could be hitting your tank – remember, light can reflect off mirrors, white walls, and pictures etc. 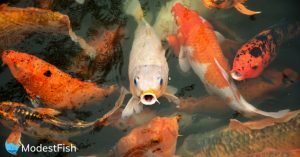 Take a look at your filtration – is its GPH 4x greater than the volume of your tank? If you’re using a canister filter, try adding a spray bar. It might not be enough, you may need to add another one. 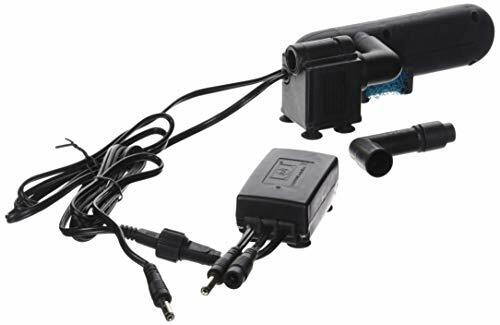 If your aquarium is suffering from a lack of oxygen, try adding an air pump with a long air stone because you’ll be able to cover a greater area. What temperature is your aquarium water? The warmer your water, the less oxygen it will hold. You can try lowering the temperature in your tank as long as it’s still in your aquatic buddy’s parameters. Warning: If you do lower the temperature in your fish tank, do it gradually. Quick changes in temperature can stress your tank mates. If your water contains silicates and phosphorous, you can try adding some silicate/phosphorus remover to your aquarium or use a reverse osmosis system. However, sometimes all you need to do is manually remove it and wait for your aquarium to cycle and mature. It’s name describes the short green algae which grow as individual filaments on your plants, decorations, and glass; creating a fuzzy appearance. The community is unsure if Fuzz algae are an early growth stage of Hair algae. Like most algae, it’s not a problem to have a small population in your tank. Often found in new tank setups, which have an imbalance of nutrients because they’ve yet to mature. If you own an older tank, and you’re experiencing a large outbreak of Fuzz algae, your aquarium is suffering from a nutrient imbalance and low CO2. Leaving your plants unable to compete with the algae for resources. Start by testing your aquarium for nutrients and CO2 levels and adjust accordingly. Creating a better environment for your plants will help them out-compete the Fuzz algae. You can also keep these algae under control with the cleanup team listed below. Feared amongst the aquatic community, It will appear in freshwater tanks; turning it pea-soup green. It may look awful, it’s not toxic to your fish. It appears after a bloom of unicellular algae which obtain their energy and growth through photosynthesis. And because it’s a singular celled organism, it can replicate very fast. There tend to be two main causes for Green Water algae to bloom: a spike in lighting or nutrients. A spike in lighting could be caused if your tank is exposed to direct sunlight. If you have an ammonia spike, that’ll start it. Double dose on fertilizer – that’ll start it. 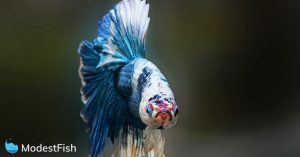 If you’ve been overfeeding your fish and miss a water change it will lead to a nutrient excess – guess what?… that’ll start it. If you’re cycling a new tank, and there aren’t enough nitrites to consume the ammonia you’ll have an increased chance of Green Water algae. Water changes won’t work because it’s a single-celled organism. Even if you change out 99% of the water you’ll have a few left in the tank, and because it can replicate so fast 2 or 3 days later it’ll come right back. What you need to do is kill it off. You can do this by using a UV sterilizer or a blackout and deny your tank of any light for a week. I recommend using a UV sterilizer because a blackout can be very hard on your plants. AA's Green Killing Machine does an outstanding job of removing algae from your aquarium. Easy to confuse with Green Spot Algae (GSA), GDA will form a green slime overing the glass. Where as GSA will grow in spots. Commonly occurs in newly set up planted aquariums which are yet to fully cycle and establish enough beneficial bacteria. But, it can also appear in mature aquariums due to low/an imbalance of CO2 and nutrients. My favored method, and one which is known to be effective, is to do nothing and allow the algae to run its full life cycle. It will take approximately 4 weeks for it to complete its life cycle. Don’t attempt to remove or wipe clean the algae during this period, it will release spores and restart the life cycle. After 4 weeks, perform a water change; lowering the water level as much as possible. Then wipe the algae off the glass. Some hobbyists have claimed replacing light bulbs after cleaning out the GDA film will cure your aquarium. However, this solution doesn’t seem to work 100% of the time. Appearing as hard green tiny spots on your glass, equipment, decorations, and slow growing plants. They’ll start as tiny dots, but, if their environment is favorable they can widen; forming extensive coats. The most common cause is often due to an imbalance of nutrients in a new aquarium. Imbalances can happen if you slack on weekly water changes, have inadequate fertilization, or the phosphates being completely depleted. Low CO2, poor water circulation, and/or exposing your aquarium to light for too much time are potential culprits. 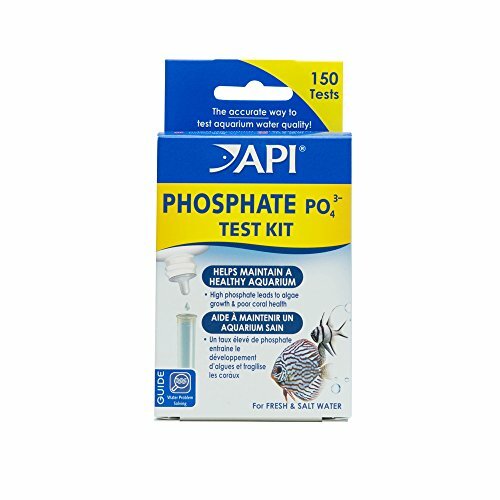 Low phosphates are “usually” the reason, so get yourself a testing kit, and check your levels. 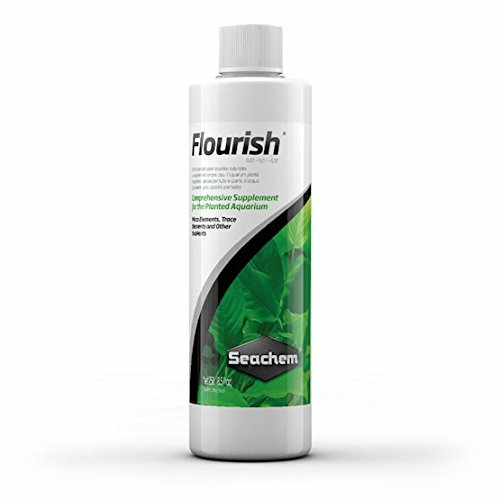 If it’s low, dose with Seachem Flourish Phosphorus to raise the levels. Once you’ve adjusted the phosphate levels, you can remove the Spot algae from the glass with an algae scraper and monitor your tank to see if it returns. Also, consider how long you’re leaving your lights on for – 9 hours is plenty. A species of Filamentous algae it forms as long green threads which feel soft and loose. The algae will mainly anchor themselves to plants, but can also appear on the decorations and gravel in your aquarium. Hobbyists call it Hair algae because when you take it out of the aquarium it feels like wet hair. It can be fast growing and hard to get rid of. It tends to be caused by an oversaturation of nutrients (too much iron is a big one) or too much light (can happen when you’ve installed a new light source). Hair algae can also appear if you’ve got too much light and not enough nutrients. Other causes could be a nitrate or CO2 deficit. It can be difficult to remove it completely, but you can start by testing the nutrient levels in your tank and adjust if needed. Make sure you’ve good levels of CO2 and nutrients for your plants. You can then stock up on algivorous (see algae eaters below) to help control the growth. You can manually remove the algae by twisting it around a skewer with a rough surface (a toothbrush is a good option) and pulling it out. If the Hair algae aren’t anchored securely, you might be able to siphon them out during a water change. A short green filamentous alga, Oedogonium can be free-floating, however, it’s likely it will attach to your plants; giving them a fuzzy appearance. It appears due to low CO2 and nutrients. Test your CO2 levels and nutrients – adjust accordingly. You can also help control it by overdosing Flourish Excel and EasyCarbo. A genus of green algae, specifically of the Cladophoraceae, it forms fine green or brownish strands (like Hair algae) which are soft a slimy. A lack of general maintenance, low nutrients, low CO2, and poor water circulation. It can be a pain to remove, but you can start by giving your aquarium a good clean, check your nutrient dosing, and increase the CO2 levels in your tank. – Check out the Black Beard algae in this section for tips on improving the water flow in your tank. Overdosing with Excel or EasyCarbo can help to clear it. Another filamentous green algae, it’s fast forming and appears as fine bright green strands (sometimes very long), which are slippery and can spread throughout your aquarium. It can be a nuisance to remove because it likes the same conditions as your plants do (water rich in nutrients, CO2, and good lighting). Fact: Spirogyra algae got this name because of the arrangement of chloroplasts in helical or spiral shape. There are a few common reasons as to why Spirogyra may appear in your aquarium. But, because it can appear in a stable environment it can be hard to pinpoint the exact cause. An ammonia spike, caused by over feeding, dead fish, or not enough water changes and dirty filters can lead to it appearing. Other theories argue a too higher concentration of micronutrients (especially iron) and lighting can also cause an outbreak. Like I said, it can be hard to clear it because it enjoys the same water conditions as your plants, and the results can vary from one aquarium to another. A frequently discussed method is to manually remove as much as you can, perform a three-day blackout with your CO2 turned off, and perform large daily water changes; dosing with Marcos after each water change. After you’ve performed the blackout, dose with Excel, EasyCarbo or TNC Carbon. Another option is to try a Hydrogen Peroxide treatment, but, people tend to get mixed results. You can check out one success story here. I haven’t personally found a solution which guarantees results, and there’s a debate over what the root cause of Spirogyra is. If you want to read more on people personal experiences, here’s an excellent thread for you. Belonging to the group of red algae, it’s easy to diagnose Staghorn algae. The growth looks like the horns of a stag (hence the name), and will attach themselves to decorations, equipment, and plant leaves. Staghorn Algae can be hard to remove manually, and if you’re hoping for a good algae eater to help you out – a seven-year-old is more likely to eat broccoli. Fact: If you immerse a piece of Staghorn algae in alcohol it will turn red. Low CO2 and/or poor water circulation. If you’re overfeeding your fish or not keeping on top of maintenance, it can cause excessive nutrient imbalance, resulting in Staghorn algae. If you haven’t cycled your tank properly or it’s new, the high levels of ammonia can also cause Staghorn algae to appear. Manual removal is difficult, but you can try using a toothbrush to remove as much as possible. You then want to get on top of your maintenance; perform weekly water changes and test the levels of nutrients in your tank. Increase the levels of CO2 in your aquarium and make sure you have good water flow across your whole tank. This will improve plant growth and help them out-compete the algae for resources. You can also try a bleach treatment: dip your affected items and hardy plants into a 1:20 solution of bleach and water for 2-3 minutes. Be careful, make sure every item is bleach-free before adding it back into your aquarium. Most will not eat it (if you have any experience with an aquatic animal eating Staghorn, please, let me know. I’d love to hear from you). I wish I could provide you with the ultimate formula to get rid of all algae, but, there isn’t one. In closed water systems, every aquarium has its own ecosystem – even if all the parameters are the same. It’s what makes finding the cause of your algae blooms so tricky. But hey, that’s what makes the hobby so fun, right? Overfeeding leads to excess ammonia and phosphate, which algae love to feed on. I recommend using LED lights, as many of these come with automatic timers so you don’t even have to think about it. Metal halide lights will lose intensity over time and need to be replaced. Unstable lighting (8 hours one day then 9 or 10 hours the next etc. ), or the wrong/loss intensity can cause algae to thrive and out-perform your plants. 9 hours of light per day is enough. Plants compete directly with algae for resources, so by increasing the competition with more plants or fast growing plants will reduce the chance for algae to take over. Perform 10-15% water changes each week. This will help remove excess waste algae could feed on and keep conditions stable. Tap water will often contain fertilizers like nitrate and phosphate, these will fuel the growth of algae. Test for these and consider using a phosphate remover, or, use a reverse osmosis system. R/O units will remove all pollutants, leaving you with pure water. Got your own algae stories? Let us know in the comments. false siamese algae eater (garra cambodgiensis) ate all of my blue green algae, and have never had a problem since. he/she is fully grown, but still tackles all types of algae. Thank you for your comment! That’s great to know, thank you for sharing your experience with the community. Great guide! Some images would really help with determining what type of alge a beginner may be up against. Thank you for your comment! You’re right and I’m currently attempting to source some images.